Posted on May 8, 2010 . The Mille Miglia was an open-road endurance race which took place in Italy twenty-four times from 1927 to 1957. 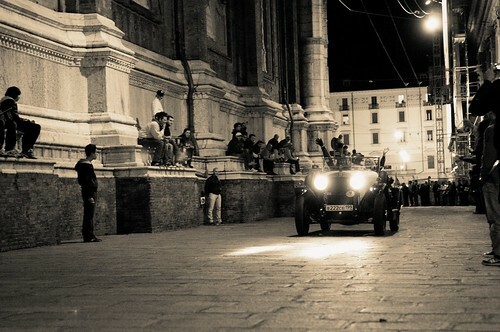 Since 1977, the name was revived as the Mille Miglia Storica, a parade for pre-1957 cars that takes several days..
Here’s some shots I took yesterday night in Bologna, while the race crossed the historical city center.